Are you looking for a way to record music from Pandora so that you can enjoy any songs anytime you want and anywhere you go? For example, listen to songs with your iTunes or enjoy your music with handheld device on the go like your iPhone, Android phones, etc. Here, I will introduce you a brilliant product that will help you to record any song by one click and you can easily sync them to iTunes or transfer them to your cellphone for playback. 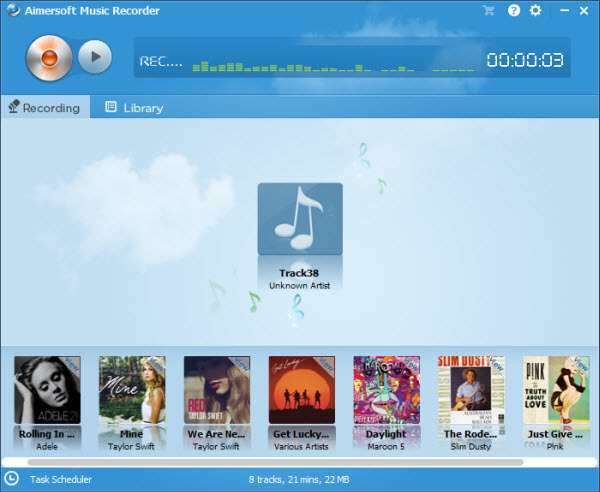 To do this, Aimersoft Music Recorder is highly recommended to you. Aiming at recording songs from online radio stations and video websites, it will enable you record songs from Pandora, Spotify, YouTube, Hulu, etc. in a very effective way. Now, let’s see how to do that in detail. With the proper recording tools, you can easily and quickly save any online music in a hassle free manner. The tutorial below is taking Aimersoft Music Recorder to show you how to record Pandora songs on Windows-based computer. Mac users please take Aimersoft Music Recorder for Mac to use. Frist of all, you need to download this program to your computer and install it by following the instructions. Next, run it by double clicking the icon of this application in your desktop. Now, you can press the Record button. As soon as you play any song, it will begin the recording process. (Note: You can set the output format before recording. 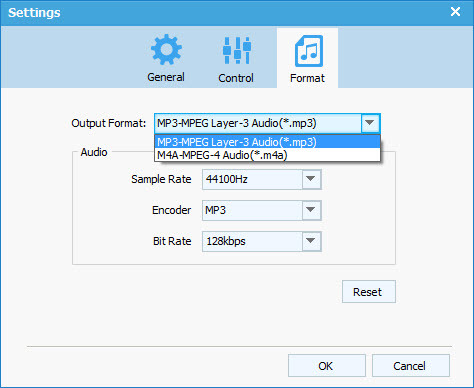 Just click the set icon and choose format category, and you can select MP3 or M4R. Here, MP3 is recommended, for it is widely supported by all kinds of media players, portable devices and so on, while M4R is often used by iPhone as its ringtone format). Open Pandora and find your favorite songs that you want to record, and then play it. Now, the recording process has begun, you just need to wait for a while, and it will be finished soon. After that, you can get your MP3 files from its library. Choose the songs you want to transfer to your iTunes from "ALL Recordings". Then you can sync the file to iTunes with two methods. One is that you can right- click the song and then select "Add to iTunes Library" and another is to click "Add to iTunes" on the bottom of the window. After that, you can find your songs in the SAR playlist in iTunes. Besides what have been mentioned above, this music recorder locate specific info to recorded songs automatically such as artist, album, date added and so on. And you can also create ringtone from recorded music as you like. Take action and have a try right now.